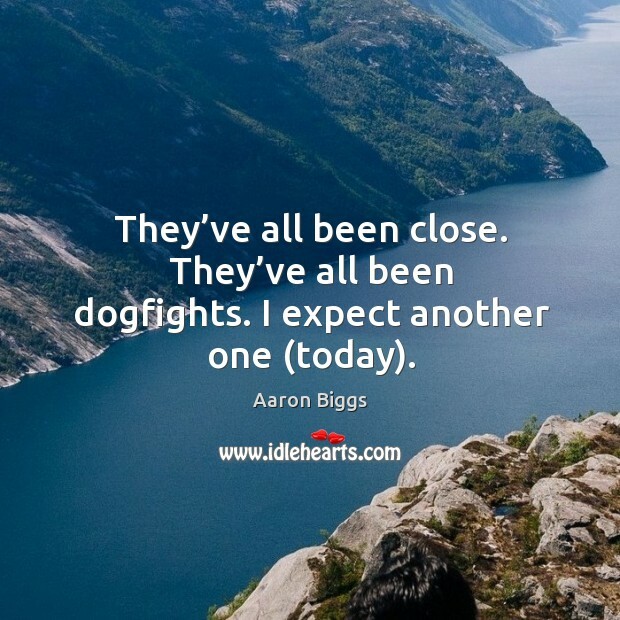 Enjoy the best inspirational, motivational, positive, funny and famous quotes by Aaron Biggs. Use words and picture quotations to push forward and inspire you keep going in life! They’ve all been close. They’ve all been dogfights. I expect another one (today). 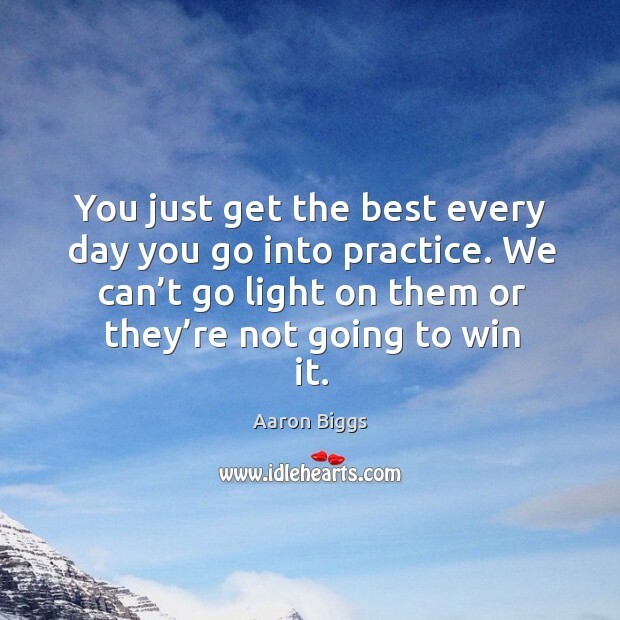 You just get the best every day you go into practice. We can’t go light on them or they’re not going to win it. 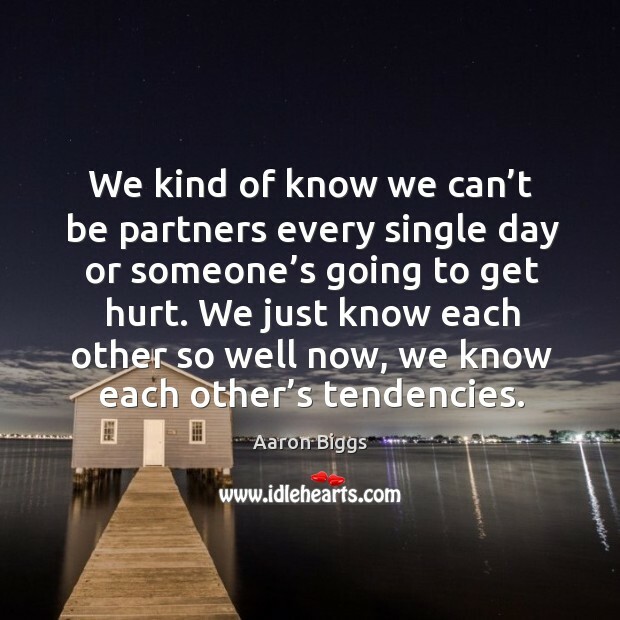 We kind of know we can’t be partners every single day or someone’s going to get hurt. We just know each other so well now, we know each other’s tendencies. 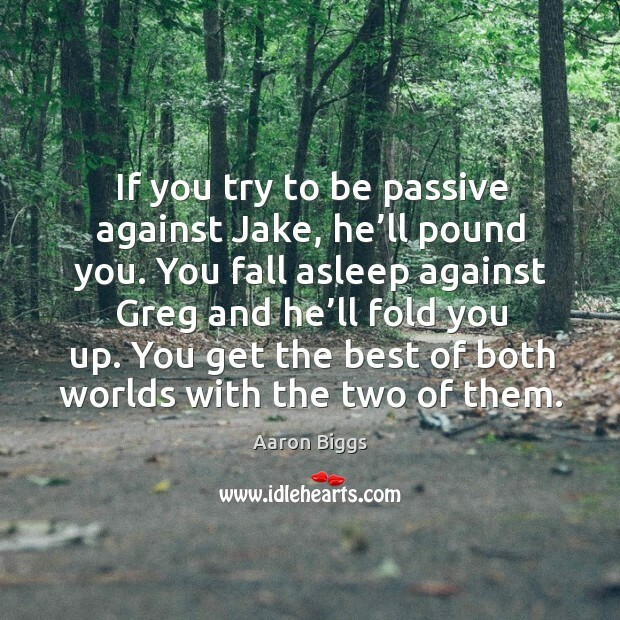 If you try to be passive against Jake, he’ll pound you. You fall asleep against Greg and he’ll fold you up. You get the best of both worlds with the two of them.